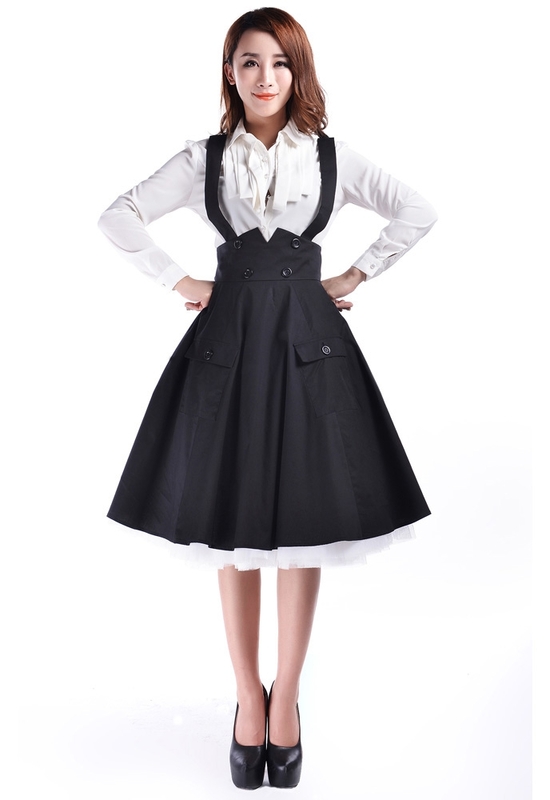 The 1950s circle skirt features two removable crossed suspender straps, a cut out V and some decorational buttons on the waist band, two functioning button flap pockets in front. The extra length and holes on each suspender in the back can be adjusted. The skirt zips and buttons center back. The petticoat is not included.